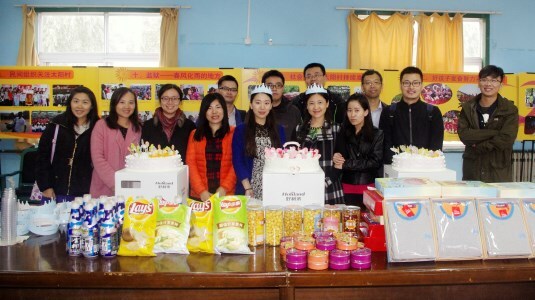 On Oct. 27, 14 employees from Syniverse’s Beijing and Xi’an offices visited Sunvillage orphanage in Beijing to donate goods and spend time with children. 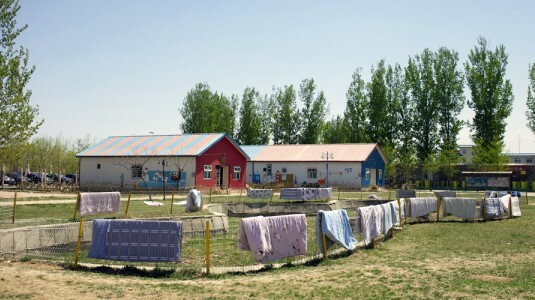 After researching several charities in our area, our Employee Association selected Sunvillage because we were impressed with its unique mission of giving a home to children whose parents are in prison, and with its distinguished reputation throughout China. The children of convicts can have a difficult time finding a home, guardian, or way of providing for themselves, and they can often be led to a life of crime to be able to survive. Sunvillage takes in these disadvantaged children and provides them a home, food, education and parental guidance up to the age of 18. Currently, the orphanage cares for over 60 children from ages 6 to 16. Part of the Sunvillage grounds. A total of 14 employees from both our Beijing and Xi’an offices took part. The visit was organized by our Employee Association, a group responsible for leading charitable and extracurricular activities in communities where Syniverse offices are located. Each year, many Syniverse Employee Associations around the world identify charitable organizations in their local areas, and then get the input of the office’s employees to select a few charities that the office would like to support. 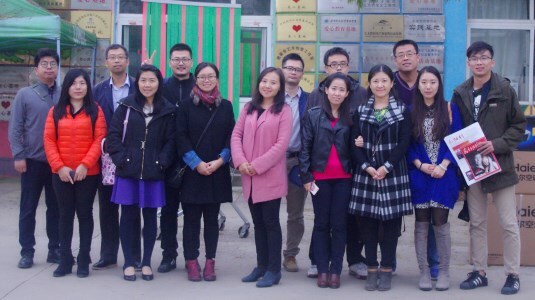 Our 14-member team from our Beijing and Xi’an offices that visited Sunvillage. We took a tour of the orphanage, distributed a number of supplies, played with the children, and held a special birthday party for them. Our supplies included a lot of books and winter clothes for the children as well as a bunch of snacks, cakes, and candies that we served at the party. Most of the more than 200 employees at our Beijing and Xi’an offices pitched in to make our large donation of goods possible. Our team at Sunvillage with some of the goods we donated. Our visit to Sunvillage is one way we’re trying to give back to our community in Greater China. Syniverse has been a part of this community for more than a decade now, with an organization over 200 people strong and growing. With large teams in Beijing, Xi’an and Hong Kong, we look forward to many more events where we can help those less fortunate. As one part of this effort, our visit to Sunvillage gave us the opportunity to brighten the lives of some special children that we will never forget! Lucy Liu is Senior Human Resources Manager at Syniverse's Beijing office. « Cybersecurity in Hindsight: When Will We Learn?